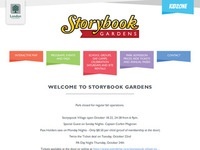 Storybook Gardens is not only London, Ontario’s number one family destination, it has been a popular site for for educators to bring their class for a year-end trip. We take fun seriously at Storybook Gardens and believe that play is essential for learning and development. your class trip to Storybook Gardens will be a day your class will never forget. Storybook offers educators and their students the option to take part in either a self guided day of exploration and play with endless opportunities to connect literacy, healthy physical activity and fun. Or to take part in one of our popular educational programs that are centered around popular books and offer a variety of multi-sensory experiences that support comprehension and literacy by reinforcing the key elements of the book. For more information on both the Self-Guided Day of Exploration and Fun and the Educational Programs see below. For group trip information, including booking process, fees, daily activities and frequently asked questions, check out our group information package. 519-661-5770 or to email storybook@london.ca . Let us know your preferred visit date and we will take all your contact information: name, email address, school phone and fax numbers, school address, number of students and approximate number of adults (teachers and volunteers) and lastly if you would like to take part in one of our fun and interactive educational programs. Note: space is limited in these programs, it is best to book early. For information on our self guided trips and educational programs see below. Storybook will prepare a booking agreement and send it off to you by fax or email. Self-Guided Day of Exploration and Fun! Children (2-17years) – $6.00 with a minimum of 20 children ages 2 years and older. Note: Educational Assistants or other adults attending in a support capacity for individuals with disabilities are admitted for free. These persons are to be included in your adult number and identified as EA’s or support persons for processing purposes. Dragon University is home to our New Dragon Mascot and his friends. It is a place of learning and activities. It is offered as an alternative to the educators who are interested in curriculum-based programming that allows for flexible scheduling with unlimited learning pods available for students with no additional program fees! Design your visit based on curriculum outcomes or student interests using our program schedule outlined below. Each program pod is expected to be completed in 15 to 20 minutes and is designed to take advantage of the best features available at Storybook Gardens. 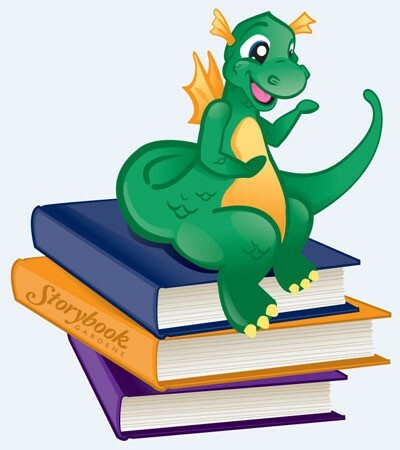 Literacy – Attend language class where students will take in the New Dragon Mascot musical theatre show. Show times offered at 10:30 AM, and 1:00 PM daily. Meet and Greets available following the shows. Science – Dr. Dragonman offers a science class where you learn about creatures that have similarities to dragons with an opportunity to get up and close with one of his special guests. Show times offered at 11:30 AM and 12:15 PM daily. Math – Go on a dragon egg hunt in math class. Program offered at 10:00, 10:30, 11:00, 11:30 AM and 12:30, 1:00 PM daily. Sensory – Make a dragon hand puppet at art class. Program offered at 10:00, 10:30, 11:00, 11:30 AM and 12:00, 12:30, 1:00 PM daily. Play – Become a dragon for the day and learn important dragon skills at our flying training centre and at Pirate’s Island. Program areas open from 10:00 AM to 3:00 PM daily. Book-based programs! Programs are expertly designed by Ontario Certified Teachers. In keeping with both Storybook’s vision and mission statements, our primary educational programs are designed to be centred around popular story books and these programs provide a variety of multi-sensory experiences that support comprehension and literacy by reinforcing the key elements of the book. Five of today’s most popular children’s books, and Storybook’s – A Home For Magic – are the basis of these programs. This book-based curriculum was inspired by the framework set out in the book Weaving the Literacy Web by Hope Vestergaard. Each book has five interactive and educational pods to choose from; Literacy, Science, Math, Sensory and Play. Class groups participate in three pods that are predetermined before your trip date. Each pod is 15 to 20 minutes in length and was designed to take advantage of the best features available at Storybook Gardens. Educators are asked to prepare for their trip by reading the class the book prior to their visit in order for children to have a preset understanding of the pods. Please note: The popularity of Storybook’s educational programs has increased greatly over the last few years, and space is limited. Many educators begin to inquire and/or book in the early parts of the new calendar year. For more information on our educational programs or to book a program call 519-661-5770. Literacy – Visit the Storybook Valley and learn Nursery Rhymes and stories through interactive methods, such as Hickory Dickory Dock Matching Game. Science – Learn about how animals and plants are used on the farm through exploration and a fun matching game. Math – Learn basic map reading skills and come navigate your way through the trails of Springbank Park. This option must be taken in conjunction with the Play Pod. Sensory – Use only your senses of touch to identify objects from Storybook Gardens in this fun touch and feel challenge. Play – Learn basic map reading skills and come navigate your way through the trails of Springbank Park. This option must be taken in conjunction with the Math Pod. Grade 1: Language Arts: Reading and Oral Communication, Science: Needs and Characteristics of living Things, Social Studies: The Local Community, Drama, Health and Physical Education. Grade 2: Language Arts: Reading and Oral Communication, Science: Growth and Change in Animals, Social Studies: Features of Communities round the World, Drama, health and Physical Education. Grade 3: Language Arts: Language Arts: Reading and Oral Communication, Mathematics: Geometry and Spatial Sense, Social Studies: Rural and Urban Communities, Drama, Health and Physical Education. Literacy – As a group re-tell the story in a sequencing activity and learn about the letter “C”. Science – First learn about the life cycle of a caterpillar and then demonstrate your knowledge by making a picture of your own. Math – Learn all about caterpillars by measuring them! After, take a walk through the park to find items the same size as a caterpillar. Sensory – Go on a bug scavenger hunt, looking for creepy crawly creatures and things they eat. Play – Run, jump, and wiggle while playing a variety of games to learn more about caterpillars. Kindergaten: Language, Mathematics, Science and Technology, Health and Physical Activity. Grade 1: Language Arts: Reading and Oral Communication, Science: Needs and Characteristics of living Things, Math: Measurement, Health and Physical Education. Grade 2: Language Arts: Reading and Oral Communication, Science: Growth and Change in Animals, Math: Measurement, Health and Physical Education. Literacy – Learn about the letter “M” through a fun game followed by a hunt for monsters to reinforce the vocabulary learned from the book. Science – Create your very own monster…. with hair that will really grow! Math – Engage in a variety of activities to count and sort all kinds of “Wild Things”. Sensory – Using only your sense of touch identify the “Wild Things” and then make your own! Play – Using a parachute, and of course your imagination, re-enact Max’s great adventure. Grade 1: Language Arts: Reading and Oral Communication, Science: Needs and Characteristics of living Things, Mathematics: Data Management and Probability, Drama Health and Physical Education. Grade 2: Language Arts: Reading and Oral Communication, Science: Needs and Characteristics of living Things, Mathematics: Data Management and Probability, Drama Health and Physical Education. Literacy – Learn words, rhymes and concentration with a silly bunny poem that includes finger play and actions. Science – Visit with one of our rabbits and learn fun bunny facts. Discuss the things that are similar and different between people and rabbits. Math – Practice math skills with a game of Bunny Bingo! Master addition while trying to complete a bunny bingo line. Sensory – Experiment with different textures while creating a “Soft Bunny” book with fabric, paper, and craft supplies. Play – Run, jump, and reach during a game of Bunny Tail Tag. Kindergarten: Language, Mathematics, Science and Technology, Health and Physical Activity. Grade 1: Language Arts: Reading Mathematics: Number sense and Numeration, Science: Needs and Characteristics of living Things, Physical Education: Fundamental Moving Skills. Literacy – Visit the Storybook Valley and learn Nursery Rhymes and stories through interactive methods such as a Hickory Dickory Dock matching game and dramatic play. Science – Learn some sheep Nursery Rhymes and then learn how wool is processed on a farm through pictures and demonstrations. Math – One, Two, Buckle my shoe: Learn the rhyme and them measure and compare your own shoes! Sensory – Use only your sense of touch to identify objects from various Nursery Rhymes. Play – Take part in a Nursery Rhymes Olympics! Activities include the Humpty Dumpty Relay Race, Peas Porridge Hot Hula Hoops and Hey Diddle Dumpling Sock Race. Grade 1: Language Arts: Reading and Oral Communication, Mathematics: Measurement, Science: Needs and Characteristics of living Things, Drama, Health and Physical Education. Literacy – Create a group Truffula tree and play an interactive game of BINGO in the garden. Science – Visit the Arboretum and learn all about trees. Put your skills to the test by becoming a tree detective during an interactive scavenger hunt. Math – Learn to count and calculate money during this challenge, like the Once-ler who sells his thneeds for $3.98. Sensory – Use all five senses to identify plants in the garden during this fun, blindfolded challenge. Play – Become a seed, water or maybe the sun during a game that will teach you all about the growth of plants. Grade 3: Language Arts: Reading and Oral Communication, Science: Growth and Change in Plants, Mathematics: Number sense and Numeration, Health and Physical Education. Literacy – Sing some farm songs and engage in a game that will encourage reading skills and help you learn some interesting animal facts. Math – First explore the barn and work on your counting skills and then sort the animals in a variety of different ways. Sensory – Learn about how wool is processed through pictures and demonstrations and make your very own fluffy sheep to take home. Play – Pretend to feed the “pigs'” Hear the “sheep” Lasso the “cow” and collect the “eggs” during the farm chores obstacle course. Grade 1: Language Arts: Reading and Oral Communication Science: Needs and Characteristics of living Things, Mathematics: Data Management and Probability, Social Studies: The local community, Health and Physical Education.